In my blog From Corporate 2 Coaching – 7 Marketing Strategies For Your Coaching Business, I define the seven ways to market your coaching business. In the next series of blogs I will breakdown the necessary steps to dig deeper in how these strategies are achieved. 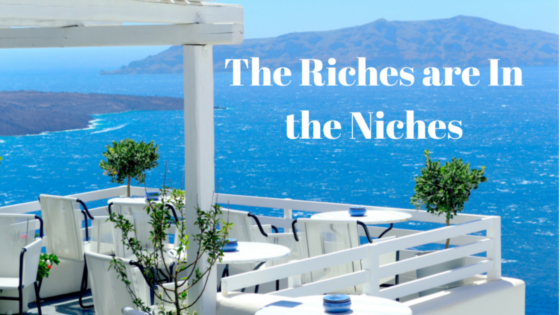 It has been said time and time again “the riches are in the niches” (a quote I hear often from John Lee Dumas, Entrepreneur on Fire Podcaster). I have found this statement to be true. It is easier to define who you are meant to service when you have complete clarity on who your target audience is. I also believe in testing out your target market to see what works in your business and also for your clients. Define your message – When I think of my messaging in my coaching business, I like to lead with my actual personal values. Define what your values are and your message will be that much easy to understand. Do you want your business designed around your family? Do you want a business designed around lifestyle? This is your business and it’s your choice how to grow it. What are your top five values that you can easily incorporate into your business? Now when I say known, I know you have a coaching business, however, let’s get clear on how the world to see your brand? For example, I want my coaching business to known to motivate women around the globe to live full out without sacrificing their lifestyle. Resources: Survey tools that you can use which does offer free versions are Zoho Survey, Survey Gizmo, Survey Monkey, and Google docs. How are you going to get your message out – ask you audience how they like to learn. Some audiences like to learn via video, some like to learn with audio, and others like to read (or a mixture of all of these learning styles). Knowing you ideal market will help you discover how you will market to your audience. You can test these methods if you are starting out to see what will work best for your business. Be consistent – Take action! Take steps to accomplish these tasks. With you planner starting with the goal end mind write your end date. Once you have the end date work your way back on how you will execute each of the above tasks.